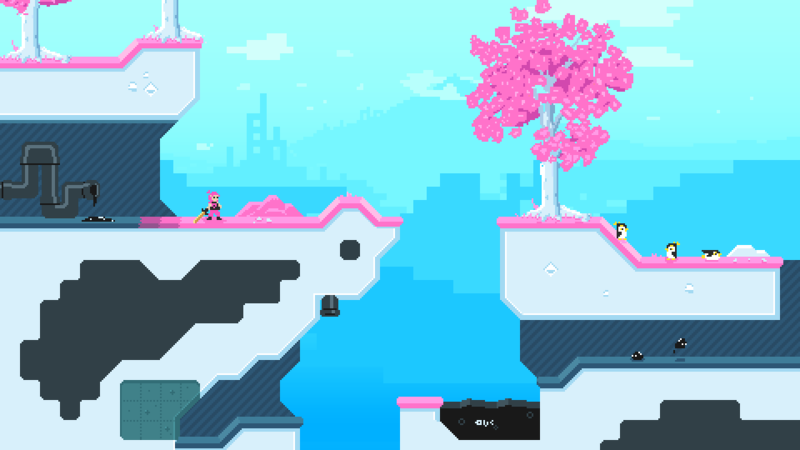 Arctica is an action-platformer rouge-lite with crafting elements. Storywise, you are (wrongfully) banished to the wilderness. To reverse the charges against you, you must survive the trip back to civilization. On your way, you may uncover the history of the planet Arctica as well as learn about a large brewing conspiracy of which you were a victim. Or not, depends on if you are paying attention. The artstyle is psuedo 8 bit. The 4 color limit is mostly adhered too, although I liberally use colors that are not in the NES palette (dark grey). I also use more palettes than normally allowed. 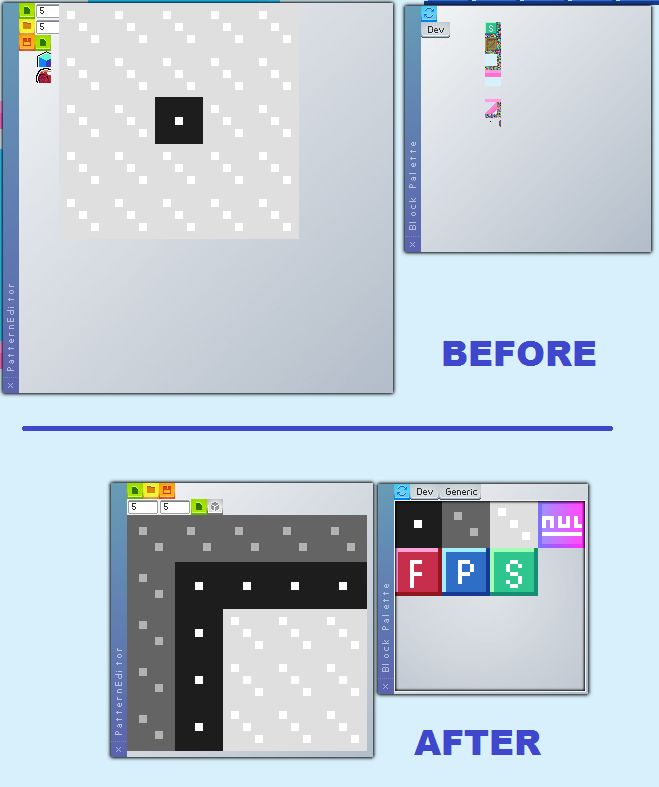 The engine is custom built with c++/sfml used as a base. It has a few features that may become selling points if it gets far enough along, such as an in-game sprite editor that updates real-time. Project is rather early on, although the engine has been in development for about a year now (it was originally started for a different project. ) I'm currently working on the player physics and controls, along with the world generation system. New Concept art for the first area. Test out the current physics. A clip of what the engine looks like with some dev tools up. This looks really nice. 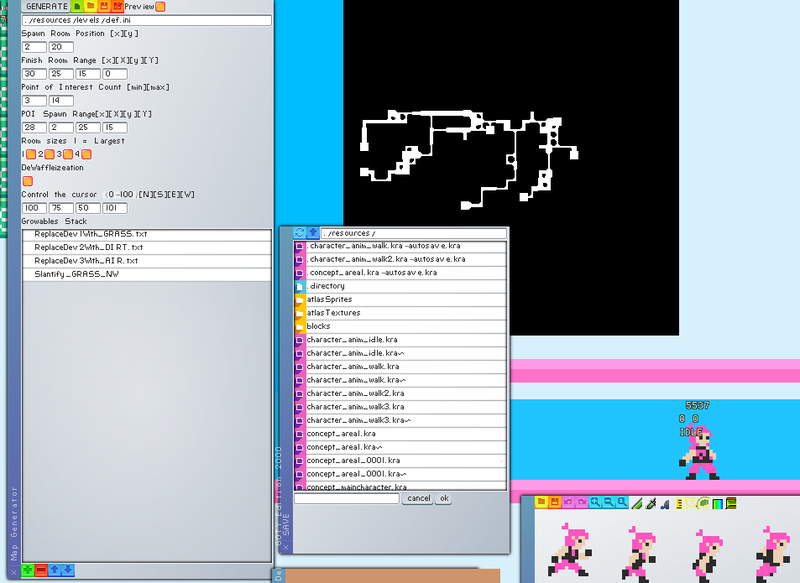 Building your own engine and sprite editor is super impressive too! If you want an extra gameplay "hook" you should definitely try to make something out of the sprite editor. I'm not sure how it would fit or if it meshes well with your existing plans for the game, but unique ideas can come from anything right? Good luck with Arctica. Looks dope. Kill it dude. 3 Color + Transparency in higher res is cool. Neaaaat. You can't go wrong with bright colours and penguins. Nice job on the engine, that's cool to see. It looks super clean and friendly. I'm going to try to update this devlog twice a day, idk if that is too much or not, but I feel it will help me to stay on track. This morning's progress was on the engine side of things. 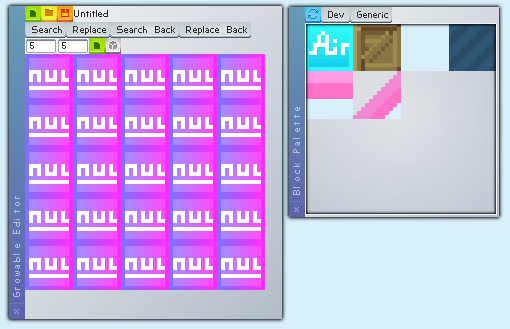 I add loading files for the pattern editor (block patterns are used when randomly generating the world). I also cleaned up the interface a little. The block palette tool (used many places in the program) received a complete overhaul. In the process I added a grid layout widget and a block-object button to the UI toolkit. So now instead of using tiny glitchy toolbar buttons, it uses large buttons in a scroll pane. I also fixed the category buttons, which were not working earlier. 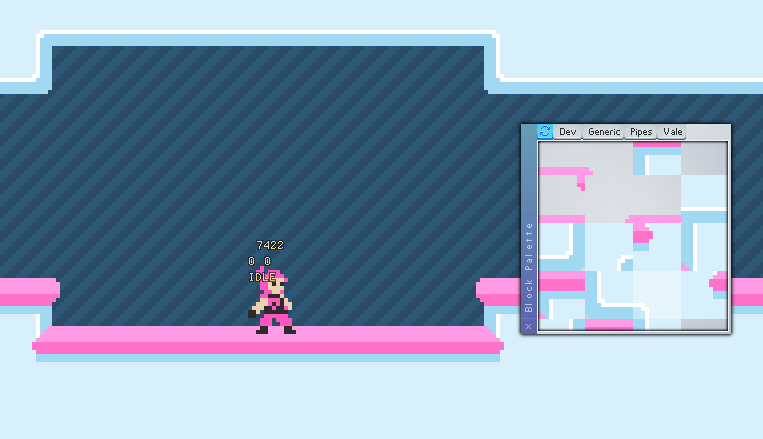 Finished implementing the half finished background layer of blocks. 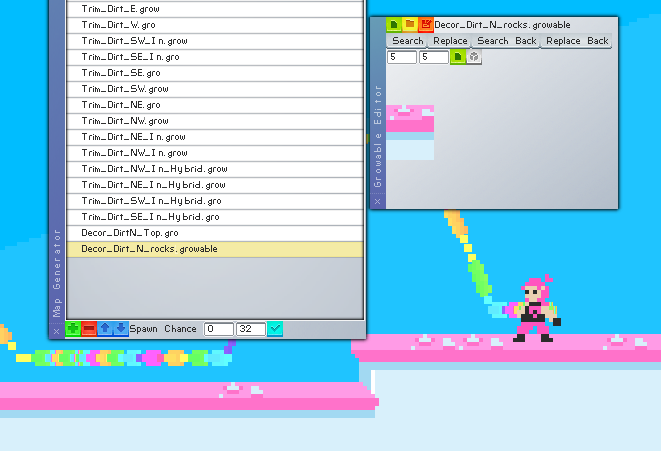 Updated the growable system (and it's associated dev tool) so that it now supports working with the background layer. (as well as updating the loading and saving of growable files to support these new features). The growable system is part of the world gen system, but is separate from the block patterns used in the post above this one. I love the motion and colors are cute! Here is a quick demonstration of how the growables system works. There was a delay in my post schedule due to having to deal with some of the oldest code in the engine. It took a while to work out and there was nothing visually different in the process. Regardless, I fixed up the engine's support for entities and hooked it up with my new sprite management system. So now I can create new entities simply by making ini files that define them. I made a static entity with an animated sprite, and then told it to spawn at the player's position every frame. There is still more to do on the scripting side of things before I can make functioning enemies, so that is the next step. On a side note, if the game engine I'm building alongside the game gets far enough, I may release it for use as well, which means I should probably think of a name for it. Any suggestions? Minor changes on the surface, major changes underneath. 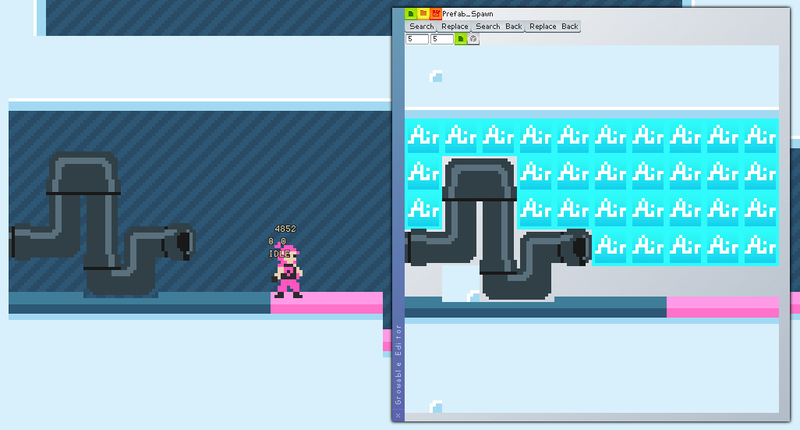 Notably, I fixed the issues with jumping (being able to cling to the ceiling and such), as well as making walljumps work as intended. 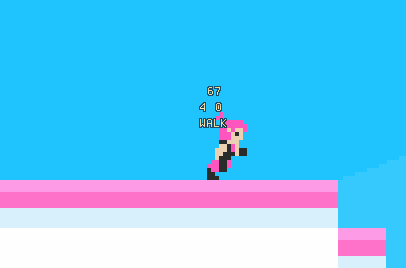 And I made a few new sprites for the player. I also fixed an elusive random crash related to world generation, finalized support for the background block layer with growables, and narrowed down the causes of an obscure frame stuttering glitch that has probably been in the codebase for about a year now and I should probably get around to fixing. Regardless, I have also been continuing work on the entity system, most importantly making sure they can be spawned through the growable system. While I was improving the growable editor to support entities, I also took the time to greatly improve the editor itself, seeing as this is the most important devtool for the current stage of development. First, I had previously realized that clicking the block dialog button was very inconvenient for quickly switching blocks while building prefabs, so I embedded it straight into the main editor window. 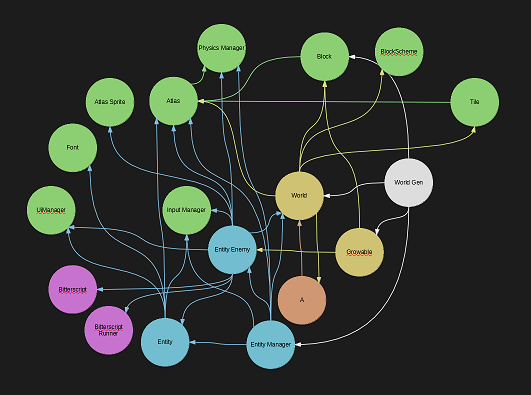 Secondly, the system now supports entities, the list on the right shows all entities currently loaded into the engine. As for the main canvas, it now supports multiple levels of zoom while also being in a scroll pane, so larger prefabs do not require a larger window. On top of that, I made it so groups of buttons (that act like tabs) have the active button highlighted. This is a temporary measure, mainly due to me not having the time to program proper tabs right now. Overall, its a huge improvement. Although theres still more work to be done before I can actually spawn entities into the game world. Ran into more technical difficulties this week. Mostly related to circular includes, which are not an easy fix. On a side note, the newest version of Libre Office draw is really nice, much better than it was a few years ago. Progress wise, I got entities spawning in the world using the growable system. I can finally get to work on making those penguins. I made some penguin sprites, I'm still working on the scripting system that will drive their AI though. Which is actually going quite well for being a custom scripting language. Finally got penguin AI working. It may not look like a lot, but I needed to heavily improve the underlying scripting system to get it up and running. Entities can now detect when they bump into each other and run scripts that effect both the active entity, and the one colliding. I'm also half way through implementing player attacks as well. It wasn't an easy decision to make, but i had to do it. I gutted the entire world generation algorithm and replaced it with a new one. The old one was giving me terrible hallways, shafts, and waffle structures. It didn't feel natural or fun to move around in. So, I replaced with one that is based off hexagon sectors. I'm still working on it, but it is already an improvement over the former system. Besides that, I re-wrote how block data is handled, so that I don't need a million separate png files. It also allows me to do faux lighting and block flipping automatically. I also made the player collision (fully) compatible with slanted surfaces. As well as moving the world generation to a separate thread so that you can watch what its doing while the game loads. There's more to come, I'm working to get a playable build out by December.